With all the hype out these days, (when haven't we seen hype) about the current political situation and Parliaments session successfully fulfilling their constitutional obligations of a new PM an such. Has anyone considered the fact that; we may see nothing at that point? Especially if budget and HCL is not resolved and even if they did resolve those outstanding issues as well? That we may see no movement in the IQD yet still? If we come to that point, I believe the issuing of bonds would be the next hope-full event that could spur a RV (2015?). However, as much of a realist that I am. I still believe things can happen at any-time. Any movement would be great at this point and time. My point is that even though I personally believe we are within a few short months to-...dare I say it..years away from possibly one of the greatest windfalls of all time. That we have a couple of events that could end up bringing in the desired "change" we are all looking for. I will be completely honest that over the past years of being vested in IQD, I have never seen the type of "enthusiasm" and co-operation from parliament that I have seen in the last couple months. Which leads me to believe in the possibility of a imminent RV/RI. Does anyone have the latest article concerning the issuing of bonds, and the latest article concerning the HCL as well as the article concerning the budget that have all come out as of late from what I can remember? Good afternoon everyone! My weekly update definitely ran late today, sorry about that! I've been busting my hump finishing up a special VIP report... VIPs, I'm just about done with the audio and I'll be sending a VIP email later today once it's posted in the new VIP section. For those of you new to the site, our VIP section contains a wealth of information that you seriously won't get for less than $1000's of dollars elsewhere... but here it's had for only $17 per month as a VIP supporter. The most recent topic... dual citizenship, or what it takes to get a 2nd passport. Here's a sneak peak at what the VIPs are getting later today: Audio: http://dinarvets.com/media/files/2ndPPsample.mp3 Read more at: http://iqd.me/l/w13t If you're not in VIP, you're missing out on that and a lot more! 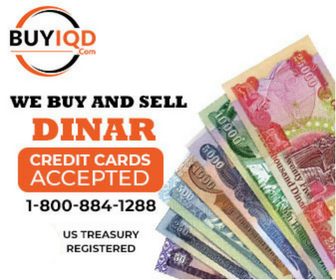 Sign up today at this link: http://dinarvets.com/links/upgrade On to the most recent Dinar news! Huge thanks to TBomb (one of our resident newshounds) for putting this together: http://dinarvets.com/forums/index.php?/topic/183877-some-article-picks-of-the-day-8-6-2014/ To sum up Iraq in a nutshell... right now it looks like the 8th is still a solid day to see some news. There are signs that Maliki is doing exactly what I thought he might have to do, which is give in to the Sunnis a bit. One example is lending support to the Peshmerga (Kurdish soldiers) in resisting ISIS. Speaking of ISIS, they are still a problem and in my opinion we have two things that need to be taken care of before we will see Iraq move to the HCL (necessary to support an RV)" 1. They need to seat an official PM, be it Maliki or Ronald McDonald. It doesn't matter who, just put someone there officially and move on. 2. Handle the situation with ISIS. The IS is an evil entity, and must be vanquished or at least mostly expelled before any further progress can be made in Iraq. It does appear that Iran is stepping in to help Iraq, but they are doing so in order to influence the political process. Either way, controlling the situation is of dire importance, and I hope to see that happening in short order. The new President of Iraq had made some pretty strong comments about "stepping down" if he was forced to pick a PM (which he should do according to the Constitution), but that talk seems to have subsided and it will be interesting to see how this week progresses politically. I will wait until Thursday to make further comments. Here's the weekly Q's: Thanks John, I try to address everything important for the benefit of the members! Regarding the tanker, I haven't heard anything... but since it's now being handled by our pathetic excuse for a justice/court system, that doesn't surprise me. The current amount of dinar in circulation is a matter for the CBI, and they are VERY good at controlling their money. It is a factor, but I trust that the CBI will remove or replace whatever is necessary to make a stronger dinar possible. ISIS is a bigger issue right now than the money, unfortunately. Maliki has never been "out", except in the opinions of some people. Maliki is the current PM and continues to vie for further time in that seat. We should know for sure in the next two weeks if he will stay or not. I believe he will stay... and if I am wrong about that (I might be! ), we are going to see some MAJOR boat rocking! Either way, I like it... let's go, Iraq! I wouldn't say it's changing "for the worst", but I agree that ISIS must be dealt with prior to anything else major. Hey yendor, thanks for the question. At 75, you probably don't need to worry about one for you... but if you have the means, both acquiring a 2nd Passport and also securing your assets with an offshore strategy could be of great value to your family, heirs, etc. (If you don't care about the kids, I say hang in there and spend it as fast as you can when you get it! ) 429 IS IT FOOTBALL SEASON YETTTTTT???!!!!! :party: I can't get serious about pre-season, it's just not the same... but Vegas has the odds at Packers +1, which means -2 taking homefield advantage into consideration. Apparently Vegas doesn't take pre-season seriously either, as there isn't a single game that's handicapped higher than 4 right now. Not yet. Good question! I'm comfortable holding at that rate right now - the situation will always ebb and flow, but since my hypothesis is based on "business sense", regardless of the political state of Iraq I still think it's a good plan. If I'm off by a couple cents... well, so be it. Yes, they absolutely can. My opinion is we will see the HCL before the RV, but that's not written in stone. ========================= That's it for this update - I'm going to get back to that special VIP report. See you in there!